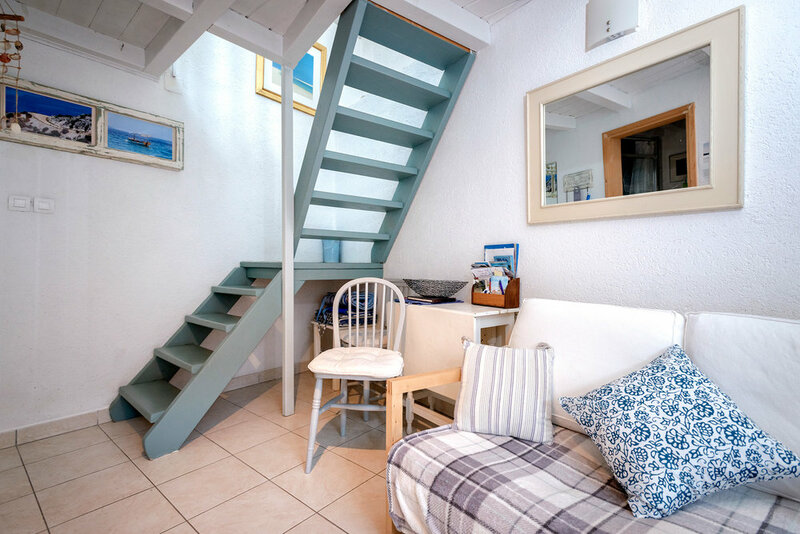 Jedan cottage is ideal for couples and perhaps a small child on holiday. 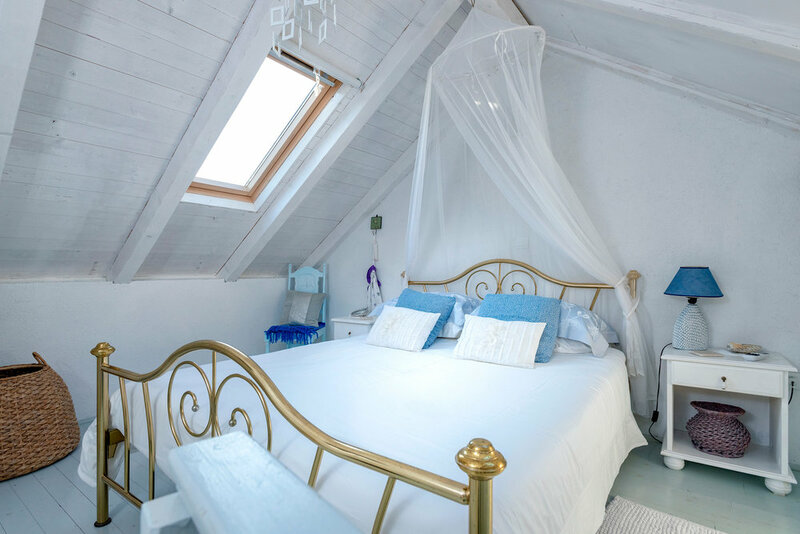 A luxury double bedroom is located upstairs on a mezzanine level under the white-washed rooftop beams. All our linen and towels are crisp egyptian cotton to help keep you cool. A single bed or a child's cot can easily be installed if required. The bedroom is equipped with TV and DVD player and CD player with attachment for your iPod or MP3 player. All cottages have a hairdryer. The ground floor consists of an open plan lounge with sofa and dining table and chairs. There is a fully equipped kitchen including basic groceries. Also on the ground floor is a modern tiled shower room and WC.